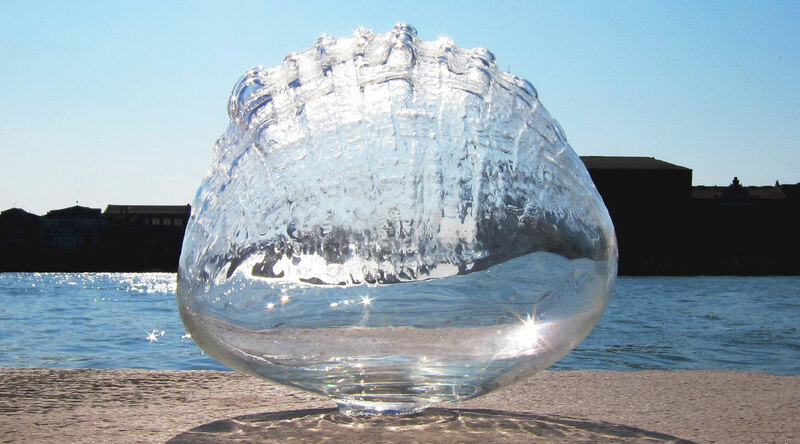 is an ongoing exploration in experimental approaches to the traditional techniques of glass making in Murano, Venice. Breaking the Mould is an exploration in experimental approaches to the traditional techniques of glass making, taking the Venetian glass as a starting point. Breaking the Mould consists of an international team of seven designers and a material scientist, formed in the winter of 2011, with the shared goal of investigating the possibilities of introducing innovation to glass production, whilst respecting the legacy and nuances of the Venetian tradition. Murano is a place where traditional and contemporary objects and techniques are still alive. Within the context of the world famous Italian craft excellence, the Venetian glass keeps a relevant position for its old tradition and the uniqueness of its productions. In the past years such tradition in glass making, that goes back to at least the 13th century, has been struggling to survive. To face this recession there is the need to formulate modern strategies that bring together research and innovation, thus keeping and enhancing the traditional traits that have made the Venetian glass so renowned. This island has become our case study: we chose it as a common ground for acquiring conscience on a specific context and turn it into knowledge to be applied to the design process. Traditionally, in Venice, designing and making are two distinct actions. We followed instead a more contemporary approach where designers and makers work together, in close contact, developing insights and inspirations, pushing the boundaries of traditional craft techniques. To make this happen we have formed a team of people with different specialities (product designer, communication designer, video artist, material scientist) working with the glass masters. Moreover we have introduced, in the steps of the making, materials totally new to the Murano glass industry and supplied by the CNR (National Research Centre - Scientific Studies on Innovative Materials Dpt). A very special thanks to all the Salviati staff: Giorgio Tiozzo, Stefano Simoncin, Alberto Conserotti, Adriano Zanella, Pasqualino Memo (furnace); Roberto Bon, Stefano Vio (grinding department); Alberto Cimarosti, Samantha Liszka (quality check); Monica Crescente, Barbara Antonetti (sales office).